All you need to know about the IELTS exam! IELTS stands for International English Language Testing System and is a qualification which asseses the English language ability of people who wish to study or work in an English-speaking country. IELTS is recognised and accepted by over 9,000 organisations in the UK and worldwide, including universities, employers and immigration authorities. What’s the difference between IELTS General Training and IELTS Academic? IELTS Academic is for test takers wishing to study at undergraduate or postgraduate levels, and for those seeking professional registration. IELTS General Training is for test takers wishing to migrate to an English-speaking country (Australia, Canada, New Zealand, UK), and for those wishing to train or study at below degree level. Whether you take the Academic or General Training module, you will be tested on all four language skills – listening, reading, writing and speaking. Everyone takes the same Listening and Speaking tests. There are different Reading and Writing tests for IELTS Academic and General Training. If you are taking IELTS for a job, university or immigration application, you should contact the organisation to which you are applying, to check which IELTS module they require you to take. What level of English is required to take the test? IELTS assesses all levels of English, from beginner to advanced. There is no ‘pass’ or ‘fail,’ instead, test takers are given a score on a scale from 1 (the lowest) to 9 (the highest). What IELTS score will I need to study or work in the UK? This varies according to the requirements of your employer or education establishment. Most universities will require a minumum IELTS score of 6.0, although some universities will require a higher score, and the requirements can also vary depending on the course. For A Level or Foundation courses, the IELTS requirement can be lower. Most universities and schools will have a section for overseas students on their website where you can view their English language requirements. If you want to work in the UK, the required English level will depend on the type of visa you are applying for. You can find information about the different types of visa and their requirements here. IELTS is offered up to four times a month in more than 130 countries. Tests are held on Saturdays and Thursdays. To find out test dates in your area, you should contact your nearest IELTS test centre. A list of all IELTS test locations worldwide is available at www.ielts.org. Select English students can take their IELTS test in Cambridge; you just need to speak to our Director of Studies who will book the test for you. How should I prepare for my IELTS? 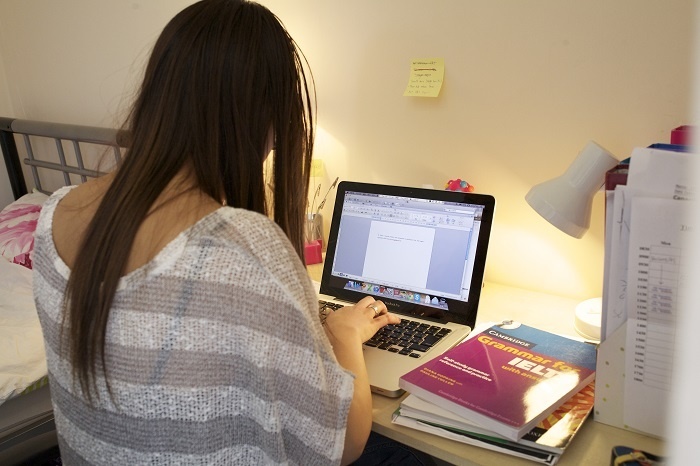 The best way to prepare is to take an IELTS preparation course! At Select English, we have many years of experience in preparing our students for their IELTS. You can find more information about our IELTS courses, along with tips and advice on how to prepare for the exam, here. You should also try some sample questions and practice tests so that you know what to expect from the exam, including the types of questions you will be asked and how much time you will have for each section. You can find lots of great resources on this link.